Sydney Russell School » Year 8 girls handball team win again! 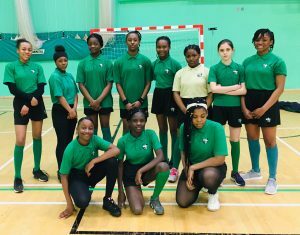 Well done to the SRS girls year 8 handball team for winning their game against The Urswick School, Hackney 1:0 on 28/01/19. We have got one more game to play and if we win we are going to play in the London Finals Copper Box in a couple of months time!